Here are the distances from my Jurgor city. The Jurgor location isn't even listed as the closest and is measured at nearly 4000 squares away. Thanks Wartow. I'm looking into it now. Tourney sq distance bug is fixed. Do a page reload (Ctrl+F5) to get the updated script. The bug was due to my inability to tell the difference between X and Y values. As soon as I can find a soggy lettuce I shall administer the thrashing I so richly deserve. https://durctools2.dewt.me.uk/gm/trivia.user.js" rel="nofollow - Trivia Filter tool - copies any GM posts into a separate window so you can read them easier. I know it echos each post twice but at least it doesn't scroll off the screen before you finish reading. Thanks for the tourney square tool! Too nice! And the familiar look with the trade hubs tool is appreciated! Added new tool to both the Towns->Military and Misc Info menus. Something to help in timing when your armies will arrive at their target. There is a built in help file that should explain exactly how it works. 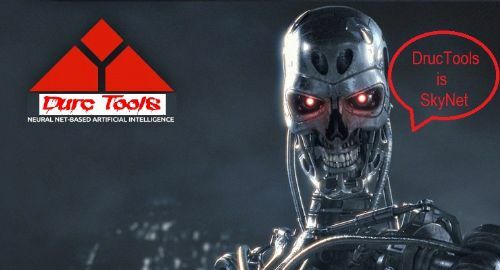 This tool does NOT send your armies for you - that is your responsibility. It is there solely to do the calculations for you so you know when to send them. It does not store the info anywhere so you need to make notes. If you alter the makeup of an army (ie add new units) this may affect their speed and you will need to run the tool again. You can select armies from any/all of your towns. 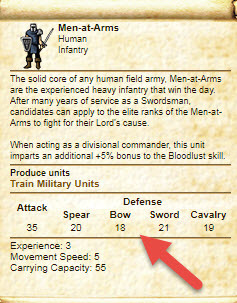 Simply change to that towns Armies page and hit the Get Units button. Coordinating between players is also fairly easy. Player A and Player B are both members of the alliance [WTHECK] and want to hold the tourney sq in Jurgor. Player A is going to send his armies to clear the sq and hold it until the armies from Player B can get there. Player A runs the tool and gets the send times for his armies. He tells Player B the date/time his armies will arrive there. Player B then runs the tool setting the target time to the one given by Player A plus a few moments. He now knows when to send his armies so they will arrive and take over holding the sq from Player A who's armies may well have suffered heavy losses taking the sq and will also have been set up for attacking. Player B can set his army to hold the sq for up to 14 days (less 1 sec) and can tell Player A when his armies will arrive and depart. Player A can now send his clearing armies setting them to occupy until just after the scheduled arrival of Player B. A similar system can be used to coordinate between players in different alliances taking into account that they may not be able to occupy the same sq (I'm not sure on the rules for NAPs/CONFEDs). Updated Movement Coordinator after reports that the Army selector wasn't working. It now checks you are actually on the Army page for the current town and changes you to it if not. Added new column to the Tourney Sqs tool. Gives a link to the tourney info page for that region. These are based on a snapshot of what NPCs I found in each tile of the world map over a two day period so are only an indication of where they are likely to be found. There is now a browser extension version of DurcTools which should allow those who play on mobile devices access to the tools. At present it is only available on Firefox - Chrome decided to reject it. Will the ability to see what T2 resources you have stored in all your cities in SUB INV return some day? I found that extremely useful, before it was removed some months ago. It should be working...try using the Clear Data tool under Misc Info to clear the Inventory in all your towns then visit each of the sub-inventory tabs for each town to gather the data again. Bear in mind that the data for a particular sub-inventory in a town is only updated when you view that sub-inventory in the main inventory page. So if my skinners return with some new animal parts they won't show up in the SUB INV tool until I visit https://elgea.illyriad.co.uk/#/Town/Inventory?id=3" rel="nofollow - https://elgea.illyriad.co.uk/#/Town/Inventory?id=3 while the town they are from is the current town. Let me know if this solves the problem and if not I'll contact you to go through some other options. Sorry, my wording was unclear. I meant the option that used to show us the sum total of what is stored in ALL cities. That option used to be at the very top of the list of cities. Currently, we can only see what is stored in each individual city, but not what is stored in all of them together. Ahh, that particular tool caused so many problems that I was unable to solve so the simple answer is no it won't be returning at least not in the immediate future. It is a problem that I'm looking at but so far I've still not managed to come up with an answer. Sorry. I've added a new tool that gives you the same info as you get on the building summary page without having to build it first. It is aimed mainly at newbies so they can see what a building will do before they have to spend time actually building it. I've added all the buildings I currently have but there are a fair few missing. I'd appreciate it if anyone with one of those buildings in any of their towns could copy the descriptive text from the summary page and send it to me in an IGM or post it here. The new building description tool should now be fully populated. If you find any buildings with no or incorrect info please let me know. Max Occupy tool is now working again. The button to set the occupy time for anarmy to 14 days 23 hours and 59 mins will appear when you select 'Occupy' as the order. Apologies for it breaking - my bad and I didn't notice till recently. Added a tool that tells you the needed amount of each res as you type the figures in the building production page. The new res tool only calculates the res needed for production if you type in an amount. If you hit the MAX key, nothing happens. Thanks for letting me know LS, I'll look into that. The pop-up now appears/changes if you click the max button for an item. I'm looking into getting the pop-up to position better so it is relative to the item your setting which will mean you can see it without scrolling if the items list is long and your on an item at the bottom. [11:54]<Tensor> Question: Do you think a pop-up showing relevant terrain bonuses would be useful when sending troops? ie if sending to plains tells you the attack & def adjustments for each of the troop types on plains. Add a button to show the relevant terrain combat mods for the target tile (probably in a pop-up. Add a button to check for any diplo reports on the target tile and show links to them in a popup. These links will then open the relevant report in a new tab (I may be able to get it in a pop-up later) however bear in mind that these reports have a limited lifespan (auto-deleted by the system). Info on gatherers/troops/diplos movements are a troublesome area that so far I've not been able to come up with a workable solution for so that part will not be available for the time being at least. Please let me know what you think of this and any sugestions you may have regarding it. 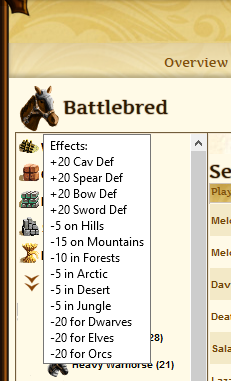 There is now a button at the top of the Military Orders page that will show you the combat terrain mods specific to the tile you are targeting. If you change the target square, clicking the button again will update the pop-up. Added another button to the Military Orders page that will search the mail database for any known messages with the target coords in the title (ie any diplo or combat reports). These are shown in the normal Mail Search popup and you can view the actual message by clicking on the relevant subject column. If you want to open the message in a new tab you can right click and choose New Tab. Remember - the database is simply a list of info gathered from the main in-game Mail page. When system mails are auto removed by the system they will still show up (this is something I'm looking into). As I've mentioned in GC a couple of times I've finally managed to crack the problem of drawing stuff as an overlay on the world map. The tool I'm using for the development of this is the Notes tool. I've come up with two different methods of showing the tiles that you have notes for and would like some feedback on which you think is better (each has advantages and disadvantages). If you can think of another way to show this please feel free to post that as well. A solid red dot in the top left corner of the tile. As you can see the this method really stands out and shows up clearly even when viewing a large map area. 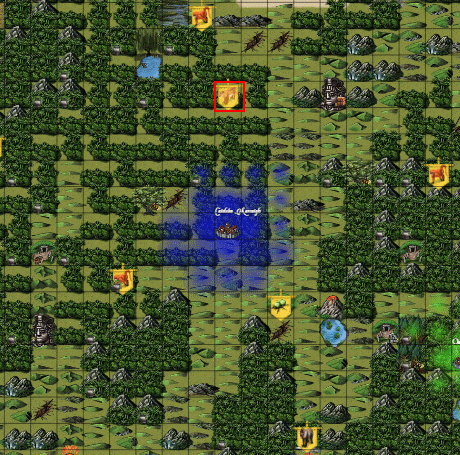 It has the possible problem of obscuring items placed on the tile by the game. A red overlay of the entire tile that is 80% transparent allowing everything to show through. Not quite as clear and harder to spot when viewing large map areas. Doesn't hide any in-game info. Thanks in anticipation of your feedback. If you switch the corner dot to the top right rather than top left I think that'll help avoid obscuring ingame information. I know sometimes hides/skins/res/equipment etc indicators pile up on the left, but I can't think of anything offhand that is in the top right part of a square. No idea how feasible that is to implement, just something to consider. You're right! Looking at it I've found things in the top left, bottom left and bottom right corners but not found anything in the top right (doesn't mean there can't be though) so that is a good idea. The square box idea is much better though and is actually easier to do than the dot in the corner - draw a solid square over the whole tile then remove the inner part. Doing it that way as opposed to drawing a square means the entire thing is contained in the tile. Drawing lines means that half the line would be outside the tile. I'll have a go at an implementation of the square idea when I get a chance. Option 3 for displaying info on the map as suggested by Ruarc. I think this is my favourite. It doesn't obscure any in-game stuff but is bold enough that you can see it when viewing large map areas. Note Highlighting is now live on the world map. Clicking the tile will function exactly the same as before. On the pop-up menu you can use the 'Find Notes' option to show the list of any notes for that tile (you can have multiple notes for a single tile). Added a new tool to the in-game world map pop-up. Lists any IGMs with the tile coords in the subject line - ie any scout/diplo/battle reports. To go with being able to find IGMs relating to a vparticular tile you can now also see any notifications for the tile from the in-game map page popup. Added 10 tile radius circle tool for the world map. By default this is disabled. To enable it go to Map Tools -> Map Display. There you'll also find an on/off switch for displaying note locations on the map. In response to recent requests the popup now automatically disappears when you move the cursor away from the input/max button. I'm still working on getting the popup to position itself in relation to the particular item you're setting production for (so you can see it when at the bottom af a long list of items) and also a complete on/off switch (for those that just don't want it). Complete about turn on how this is done - no more annoying pop-up. Instead it adds a row under the display of items needed to make something. this row holds the amount of each item needed for the current qty. Hopefully this will satisfy those that didn't like the pop-up (that included me). If not please shout out. I would use the tool but i don't find any download link for Chrome, it works only in Firefox? The extension version only works in Firefox but the userscript version works in Firefox, Chrome, Edge and a host of smaller browsers. To install the userscript version you need first to install a userscript manager. For chrome I would recommend the Tampermonkey extension ( https://chrome.google.com/webstore/detail/tampermonkey/dhdgffkkebhmkfjojejmpbldmpobfkfo?hl=en" rel="nofollow - Tampermonkey in Chromestore ). Once that is installed simply click the DurcTools link on my profile to install the tools. Once they have been added you need to refresh your Illy page (ctrl+f5) to run the script. In the future it will run automatically when you log in to Illy. If you get any problems give me a shout. i installed Tampermonkey and the userscripts from your profile, it works like a charm. DurcTools update - the popup when you click on NPCs on the map now tells you the group size range if inside your diplo visibility. All your updates are good, but this is very useful. Thanks! Can the terrain bonuses/penalties be added to this view? I was looking for a way to scan for elementals and I noticed that they would not appear among the "Camps" in the Collectables Map Scan. Is that on purpose? What about factions? I would find it useful to have the elementals in there with the other critters. I have a suggestion for DurcTool. We have 3Sqr Sov Scan which is great for finding out the various 'Production' bonuses you can attain and its breakdown. Why not create a similar feature/option for Food or basic resources Sov bonuses. It will be great addition and can simplify and help speed up plot prospecting tasks. Gone down the road of adding a button to the 3Sq Sov tool that will show a separate window holding details of the base res sov bonus % (per lvl) for each tile within the same 3 sqs. As requested I've added a summary table for diplomatic units similar to the one for military units. It will gather and store (on your device) diplo numbers each time you visit the diplomatic overview page for a town. It does NOT include any units that are out on missions or any Scribes of Allembine. Added the ability to select what sort of items you want shown on the Collectable Scan tool. Just check the harvester types/camps you want shown. These settings will survive between calls to the tool but not between logins - when you login everything is unchecked by default. This was suggested by Wartow (many thanks for his excellent suggestions) but is something that really should have been available from the start. Ignore a suggestion from Wartow??? - NEVER!!! The Faction is now a link and added a button to update the tool when you change towns (ie re-calc the distance from the town). The Standings column is a bit more difficult. I need to write some code to extract the standings from the faction page and add them to the data held first. After that insert the data into the table. As this is data particular to a player/alliance combo it will be up to the player to keep it up to date by visiting each of the faction pages. Although they are not active at the moment the devs have talked in thev past about it being possible to alter your standings with factions and if the makeup of an alliance changes (ie they become all dwarf instead of orc) then the alliance standing may change even now. Perhaps the standings info isn't worth the effort at this time. I'm not sure the full use of the data in this table other than a quick glance to determine if your trader would be accepted or not or to determine if the taxes might be too stiff for a seller's taste. To get the faction standings you need to visit the page for that particular faction (click on the faction name in the table). If the standings are unknown then a ? is displayed. If you're not in an alliance then the alliance standing is the same as your own. Added a new external page that shows (some of) the details of what has been dropped by various NPC groups when I killed them. This is only data gathered from my account - not anbody else, so the range of NPCs is limited by what I find in the area around my towns. At the request of Wartow I've added a new setting that will beep every time a GM posts in GC. By default it is turned off and you need to turn it on before you will hear the beeps. In response to a request from Anyu I've added a tool that will allow you to take a backup of your current profile and restore it later. The backup is stored on your device so if you clear all the data it will be gone. The backups are coded for your player id so if you have an alt you can have backups of both accounts. I don't know if you can edit profiles while sitting but if you can then you can take/restore backups for them as well. Great chart Tensmoor. Have you or anyone killed at least one of every kind of critter? For more than a year I've been on a systematic quest using the same army and commander to eliminate a troop of each NPC critter (not factions). I'm going through them alphabetically with Saurians next. Hoping for the first military technology/mystery discovery. Been experiencing glitches (sub-inventory section not displaying) with the in-game inventory page recently. Can't say for certain but it started happening about the same time I updated DurcTools with a new method of updating the inventories. I've rolled it back to the previous version but it still seems to happen intermitently on a variety of browsers. So far the only way I've found of stopping this problem is to turn DurcTools off. I will be looking into the problem and will post any updates here. Seem to have resolved the problem - didn't actually change any code just reformatted the files and re-saved. I'm going to have to put this one down to the 'mysteries of IT'...The new version of the code to update DurcTools inventory info is still disabled at the moment. Changed the 'Clear Data' tool to a 'Data Manager' one. It not only lets you clear data the tools have stored but lets you view and copy it. On the left is a list of all the various pieces of data the tools have stored for you. Clicking on one will open it in the area to the right. At this point you can remove it by clicking the Clear button, copy it to your clipboard (so you can then send it to somebody else) by clicking on the Copy button or clear it by clicking the Refresh button. This may well help me solve bugs/problems that individuals are having with the tools. Had a request for something to tell you what your nearest town is and how far away it is. Had a bit of a think and decided that it would be better to have the distances from all of your towns. Since this was going to be called from the map popup and that is getting too big already I decided to add a small button to the popup that would open the tool window rather than yet another menu option. Below is a screenshot of it. In the top right corner of the popup is a red bulls head - clicking thet will open the tool with the distances. The table in the tool can be sorted by clicking a column header. Clicking the same header again will reverse the sort order. After twice sending diplos from the wrong town I've now made the town names clickable so clicking one will now change focus to that town. Another Wartow request...show the effects a crafted item has in the marketplace. When you select a crafted from the list on the left of the page a tooltip is now added to the image at the top. Simply hover over the image to see it. During the process of generating the content for the https://illystuff.uk/durctools.html" rel="nofollow - DurcTools page on IllyStuff.uk I've found that some of the tools are not working as they should. I'm still in the process of going through them all and i expect the list will grow by the time I've finished. The current list of things that need to be done can be viewed by clicking the 'In the works...' button in the top right of the page. I've asked several times but i'll ask again - if you spot any problems with a tool not working as you think it should or just not working at all please let me know by either posting here or sending an IGM to Tensmoor. There are a large number of different parts to DurcTools now (perhaps too many?) and I don't use them all myself so I really do rely on users letting me know about problems. While I'm always happy to chat with folks and offer help/advice etc I do have problems remembering exactly what problems are or what I'm meant to be doing and the IGM/forum post gives me a constant reminder. Data Manager tool not working properly. Should now be fixed. GM Beep status not being stored between logins. Should now be fixed. Problem with the collection of troop mumber info which results in the Troop Summary not working. In addition I'm in the process of updating the tools with the data for all the nice shiny new items. If you can update the spot scan to show distribution color coded on the map. I really liked this function back when we had Illy Tools. It would be even more helpful and faster to select for right square to build cities. I'll look into this once I've got the upgrades fully integrated into both DurcTools and the external sites. As far as I can tell the new equipment should now be available in DurcTools. I've probably missed some bits so if you spot anything please let me know by posting it here (it saves me getting multiple folks telling me about the same problem). I'm now going to focus on upgrading the external sites (Recommended Equipment and Research Paths). There is a minor thing I noticed with Troop Summary screen in DurcTool, but forgot to mention. Siege column does not have T1 and T2 under it. It is under Tourney/Known. Possibly a table format error. I've finished the re-write of the production queues monitoring system and need some volunteers to help test it before I push it out to general release. Testing will involve installing a test version of Durctools and trying out as many of the different parts of the tools as you can to ensure none ot the other parts are affected by the re-write as well as trying out the new production monitoring system. Queues are now updated whenever you add anything in a building production page. No more need to visit the town production page to add new queued items. If a queue ends while you're logged in the unread notifications flag should be updated immediately. No more waiting for a scheduled check of the queues. The 'Local' completion time in the 'All Queues' tool is based on the timezone set on your device. If you're interested in helping out with the testing drop me an IGM and I'll send you the link for the test version. Sorry about that Tens... No issue will keep an eye on it. When DurcTools is running I am not able to fill in any boxes. Only my autofill options are available. When I terminate DurcTools then all works as it should. I did just update to the current version of DurcTools because the behavior was the same for the old version I was using. There is a pop-up browser message that occurs when DurcTools launches but it isn't there long enough to be read. Fixed the bug that stopped the Movement Coordinator tool from working. Also done an upgrade to the userscript that will stop it trying to run on the new UI (the code is incompatable and may cause problems). You will need to re-install the userscript by clicking on the link below or on my profile.